I recently installed phpBB forums on my website and I'm using the Black Pearl design (very nice and matches my site well). I changed the color of text, and the picture in the header, and that's all. 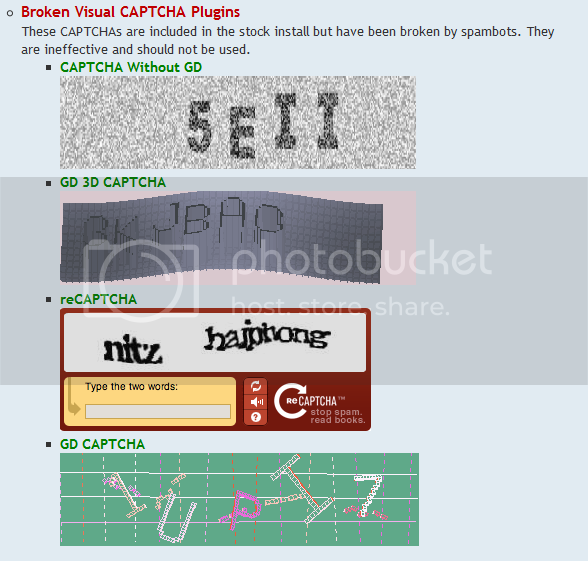 When I was testing it today, I tried to register and the "Captcha" picture which has the code to enter disappears after a few seconds. What could be causing this? The only way I was able to register was by reloading the page and quickly taking a screen shot and then entering the code. 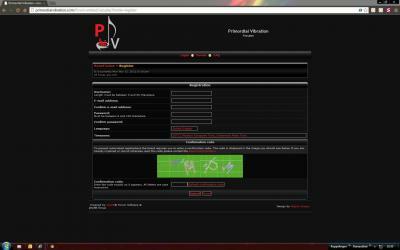 Obviously though average users visiting my forum won't be able to register. This error only seems to occur when using Chrome browser. I tested it in IE 9 and Firefox v16 and the picture does not disappear. Is this just a setting in my browser? Or is it a compatibility issue between the forums and that particular browser? You can view my forum at: h**p://primordialvibration.com/forum-embed/UCP.php?mode=register (click accept and it will take you to the page where the picture disappears when using chrome). I attached a screen shot of what it does when viewing the page through Chrome. No Issue in Fire Fox either . Also these included "Captcha" or "Spambot countermeasures" No longer work against Spam Bots. They are ALL Broken. Even the Q&A Question one. I had that on my forum for a good year, Last week I got hit with a spam Bot, and it created 85 accounts. and ALL are posting SPAM (Were Banning them on the First Post). I don't want to Ban every account on those two days. Just in case - even if it's just one real person that registered that day. What Does work now is 3rd Party add-ons. I Use PeopleSign Now. Since installing NO More Spambots creating accounts. This issue appears to be coming a common theme, because I believe the hottest topic at SMF at the moment is how spambots are now circumventing every form of anti-robot protection - and even "Admin-Only approved sign-ups" are being automatically approved? The "Aliens" are here with their superior technology and taking over - Run for the hills. I'm still wondering why I'm always lacking free time, while some people seems to have so many free hours that they use to create such kind of bots... bah... life isn't right sometimes.